This week, we’ll cover the military campaigns of 1868. 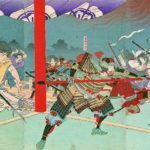 Edo will (surprisingly anticlimactically) fall, the north will rebel, and Matsudaira Katamori’s domain of Aizu will be overrun after a brutal two month siege. In the end, only the small splinter territory of the Ezo Republic will be left standing. Goro, Shiba, Mahito Ishimitsu and Teruko Craig. Remembering Aizu. 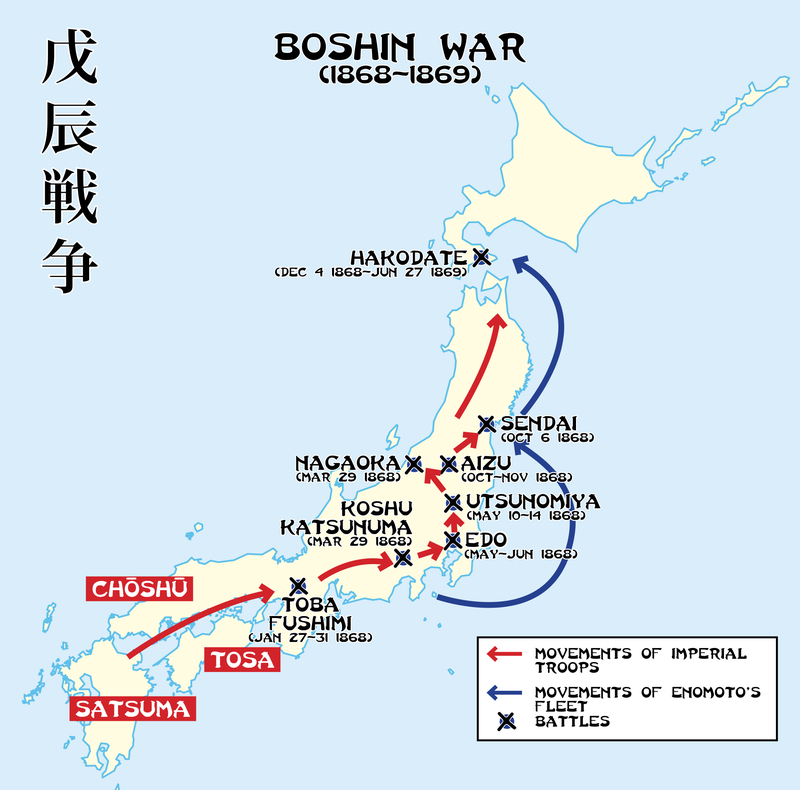 A map of the major engagements of the Boshin War. Note that the dates are different on this one; that has to do with the fact that around this point, the new government was switching away from the old lunar calendar to the Western solar calendar, creating some confusion about what events happen when. 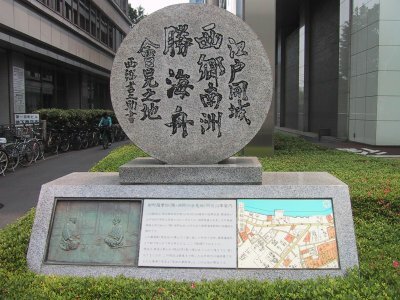 This monument shows the site in modern Tokyo where Katsu Kaishu and Saigo Takamori sat down to negotiate the fate of the city. 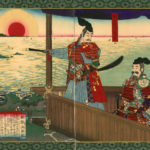 The Shogitai, shown here defending their bastion at Kan’eiji, made a futile last stand against the loyalists. 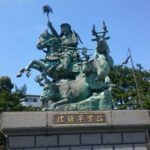 Saigo Takamori crushed them with his Western style artillery. 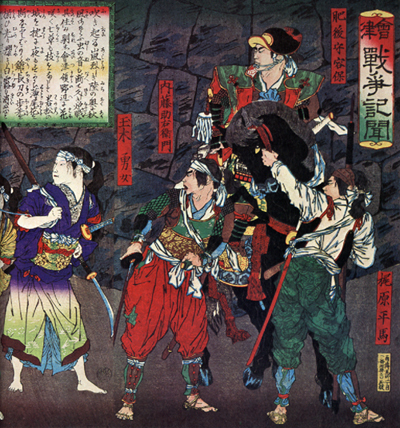 Troops from Sendai domain mobilize to fight the loyalists, June 1868. Aizu samurai defending their domain. The one on the far left is a woman; many Aizu women took up arms to defend their home against the loyalist assault. 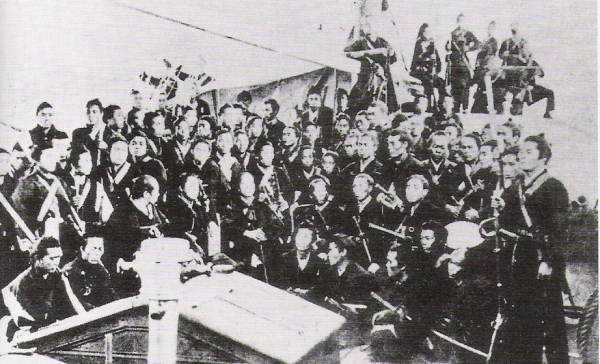 Pro-Tokugawa troops being shipped to Hakodate to join in Enomoto Takeaki’s rebellion. The vessels of the Ezo Republic navy, depicted in part here, were the greatest asset of the Ezo Republic. The spot in Tamachi where Katsu Kaishū and Saigō Takamori negotiated is commemorated with a monument and inside the station there is a mural dedicated to them. Oh, also, in the latest renovation of the Edo-Tōkyō Museum, they dedicated a whole wall to Kaishū and the peaceful surrender of Edo a Castle and the transfer of power. Sorry, I should have been clearer about the lack of monuments specifically to Katsu Kaishu. Haven’t had the chance to go to the Edo-Tokyo Museum in a…long time (can’t even remember the last time). Glad to hear he’s getting some love, though. I read a biography of his once and I think it shows that I’m something of a fan. It’s just up the hill from Count Katsu’s villa below Hikawa Jinja, where he wrote his famous Hikawa diary.